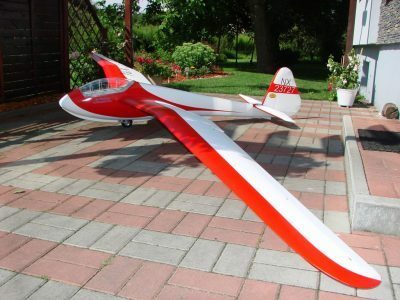 The BFG 1600 is a 1.6 meter electric glider designed for fun. 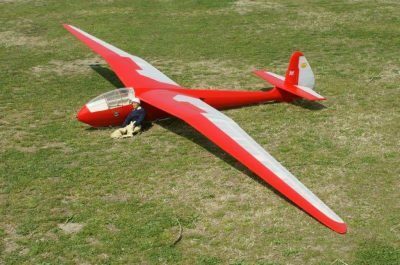 The all EPO airframe is extremely tough, perfect for flying at those less than perfect slope sites where landing can be an issue. 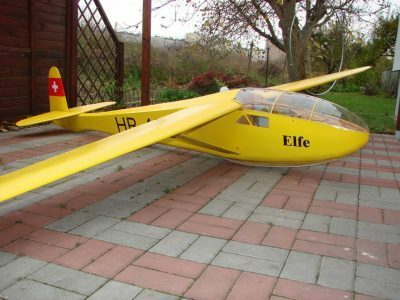 Flying from the slope isn't a requirement since the BFG 1600 has two power options, a motor in the nose with a folding propeller, or a pylon mounted motor with standard propeller. 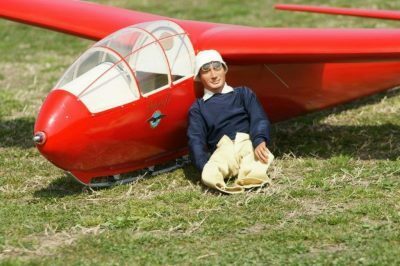 If powered flight isn't your thing, slip on the magnetically secured nose cone and run as a pure sailplane. 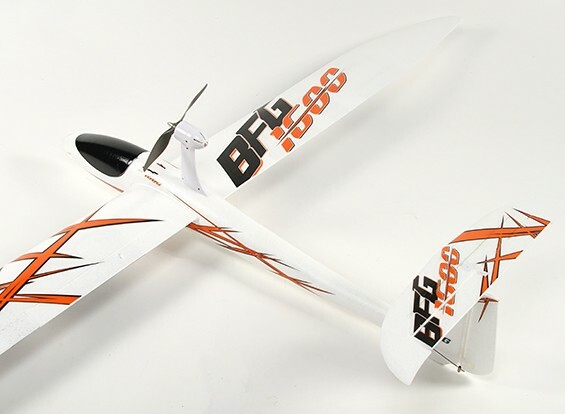 With its light weight, the BFG 1600 will find those small thermals and keep you entertained for hours. 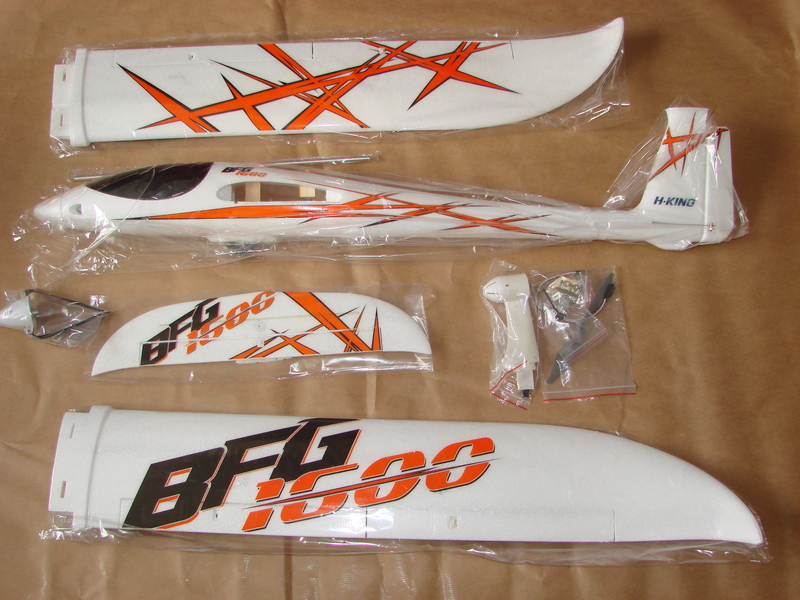 We've designed the BFG 1600 with optional flaps if you want that option. With the included hardware, and adding two of your own 9g servos, adding them is a breeze. 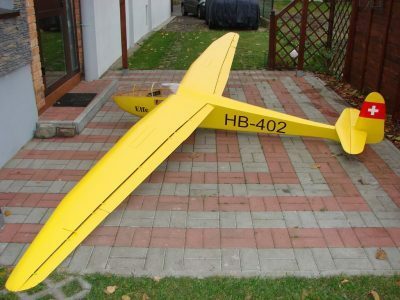 Assembly and transport of the BFG is quite easy thanks in part to the two piece plug-in wings, and bolt on horizontal tail. Since the model is plug and fly right out of the box, all you need to do is some basic final assembly, program your radio and fly! Depending on which power option you choose, the conversion takes just a few minutes. We actually include two motors, so there is not a lot of extra work for you. Just change the ESC output leads to the motor you want to use, and go. 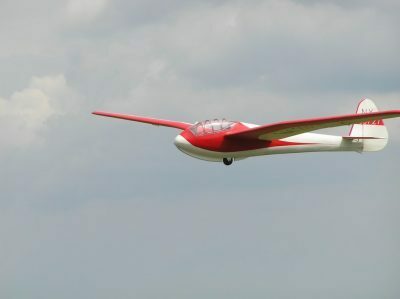 When running in pure glider mode, the front motor stays installed to maintain the correct center of gravity. 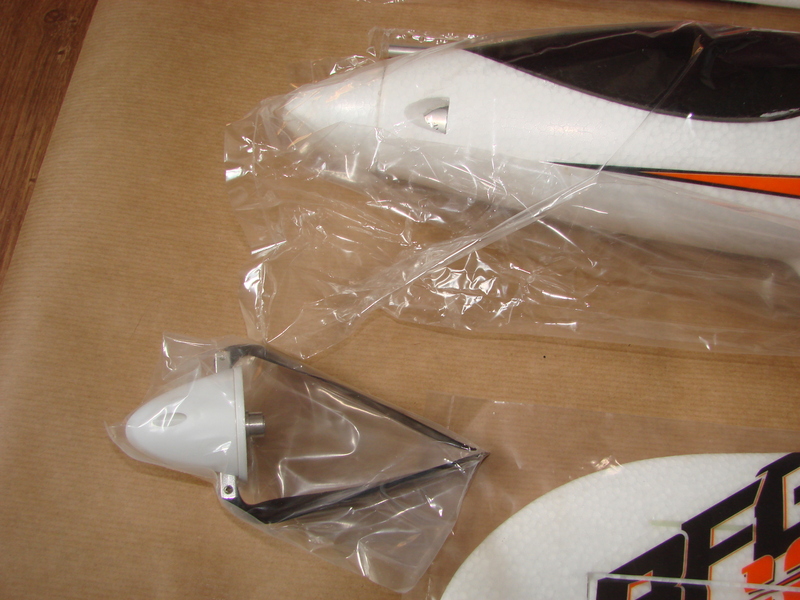 We just replace the spinner/folding propeller with a weighted nose cone. 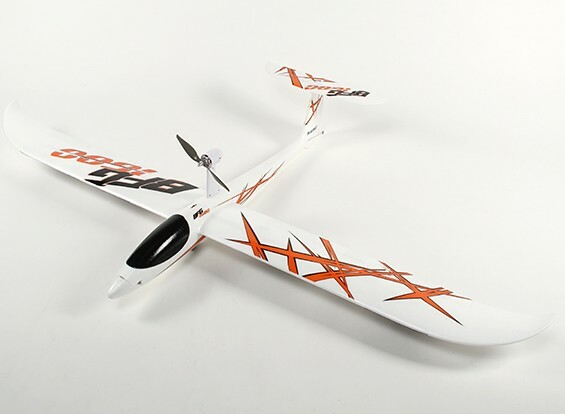 • Plug and Fly - Just add your choice of TX/RX and battery, minimal assembly and fly!